Since we premiered actor turned rapper Rick Gonzalez's tape Between The Stars in May, the artist formerly known as Realm Reality has shared just a couple tracks from an upcoming project, including the Rapsody-assisted "From Now On," and now, he's ready to free another. 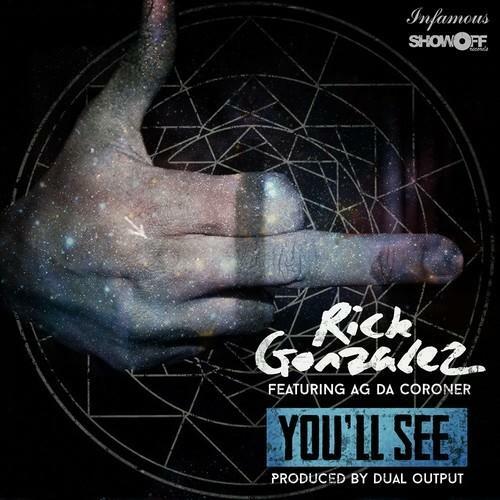 "You'll See" features AG Da Coroner and was produced by Dual Output. A gritty slice of boom-bap traditionalism, "You'll See" has Gonzalez adopting a similar voice to the one he used in one of his biggest film roles, Spanish in Todd Phillips' "Old School." AG comes on in the second half, with his baritone rapping creating a stark contrast.